There are two different type of spinoffs. The first takes the spirit of the original and takes it in a new direction, whereas the other is linked largely through name or characters. If this is confusing, think Tales From the Borderlandsand Dynasty Warriors: Godseekers. Naturally, the ideal is to do the former, as it simply expands on what people love, in a way that can include more or at least different people. 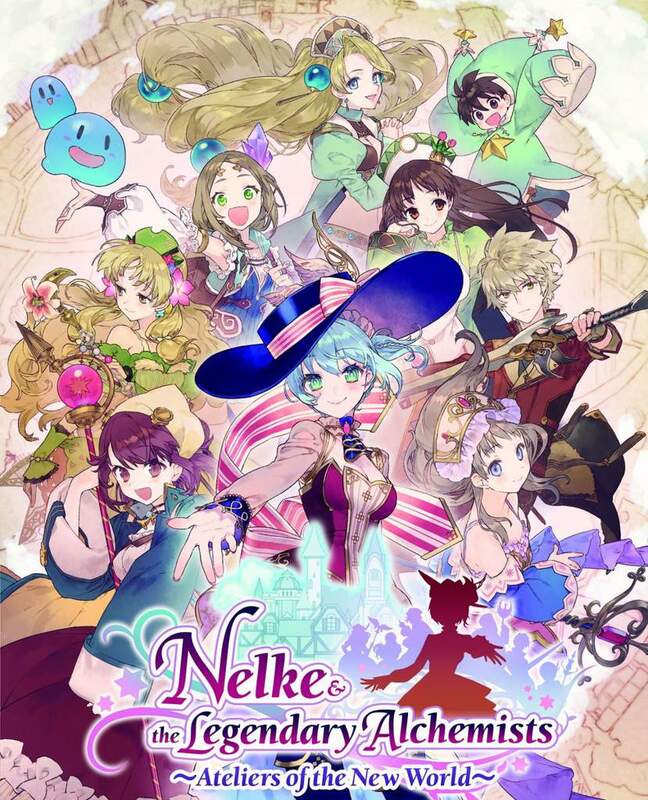 Nelke & the Legendary Alchemists ~Ateliers of the New World~tries to do this by combining the elements players love from the Atelier franchise, with town building mechanics. With familiar faces, a different story and a lovely maid, does it do the franchise justice or should fans avoid it at all costs? The story begins with Nelke and her maid Misty heading to the small town of Vestabalt. Here Nelke was tasked with developing the town, along with solving the legend behind the Grazweit Tree. If this sounds vaguely familiar, it’s likely because it feels like an Atelier-esque story, though don’t mistake it for your traditional Atelier game. Fairly early on it’s established Nelke has no talent for alchemy and has no desire to learn. 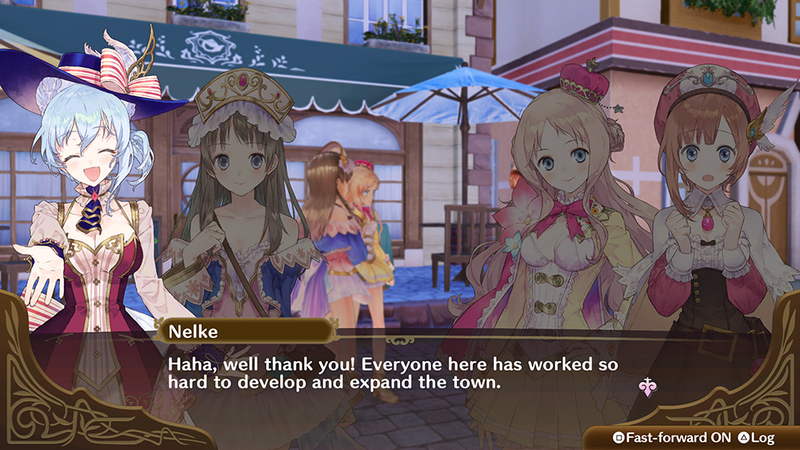 Instead, a wide variety of characters make a return to aid Nelke build up the town. These include practically every main character in the series history, plus Pamela and Hagel. Sadly, the opening ruins much of the fun of these characters just appearing, though, on the other hand, it can be just as exciting looking for their return. In either case, these characters take care of the alchemy, giving Nelke and Misty the time needed to accomplish their tasks. 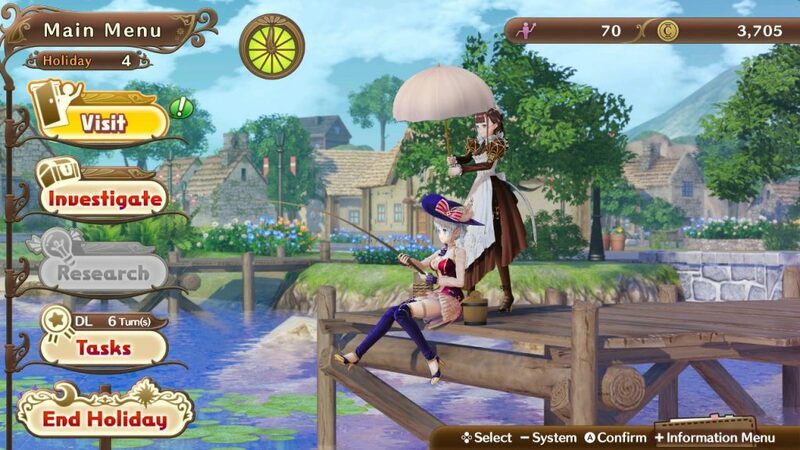 Since this is an Atelier game, relationships and time are important elements. Players are expected to visit characters, complete requests and obtain the resources needed for the town to flourish. This is actually a lot simpler than it sounds. 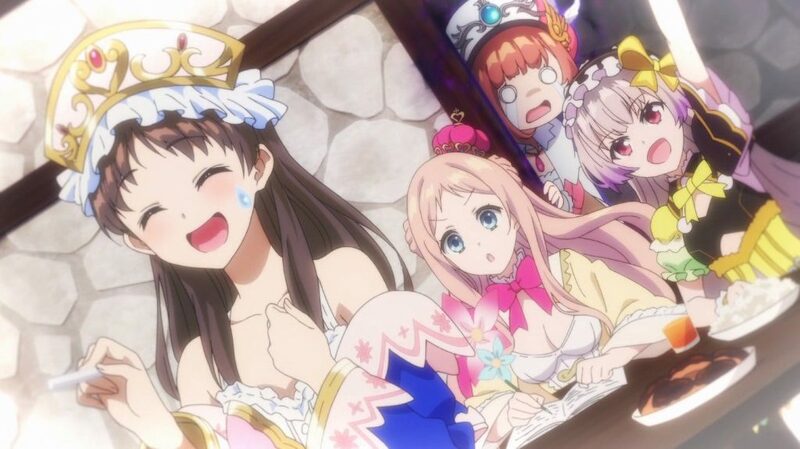 For the most part, Nelke & the Legendary Alchemists ~Ateliers of the New World~ is just making choices and reading dialogue. This boils down to a gameplay chain of collecting resources, obtaining recipes, telling an alchemist to craft said items, followed by giving them shops so you can ultimately make money to expand. To make this easier the game walks you through the basic process and the rest comes down to time management, a common element for the franchise. No matter what you want to do, everything comes down to time. You have deadlines and to accomplish everything you want, you need to be aware of the time involved. These mechanics never get too complicated, usually little more than figuring out what you need to do, spending as much time talking as you can and then take the girls exploring. During exploration you will have to fight enemies. These enemies are what you’d expect from Atelier games, with turn based elements. Even though there are deeper elements, most fights are nothing more than trading blows until everyone dies or you can use magic to deal significant damage, buff, heal or whatever. Those uninterested in these parts can set the game to auto, though no guarantee you’ll win every fight. 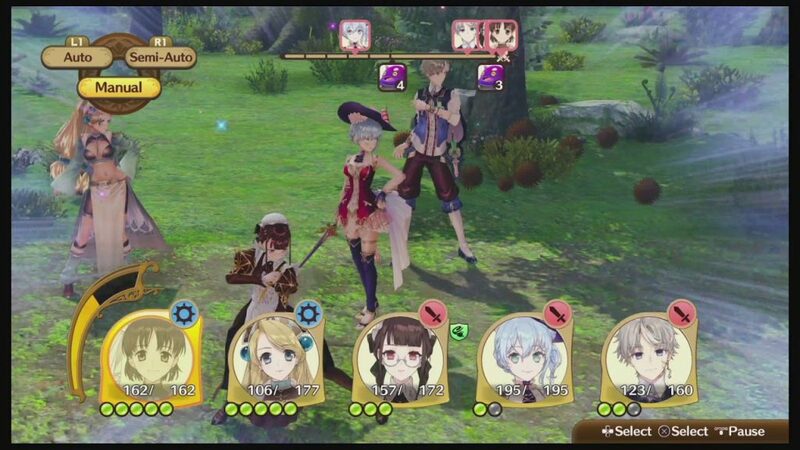 For better or worse, Nelke & the Legendary Alchemists ~Ateliers of the New World~ is pretty simple. Once you understand the gameplay loop, it’s about micromanaging your town. Make sure X or doing Y, ensure everything gets done by the deadline and build relationships so you can use them to do your biddingaid you in developing the town or collect information about the tree. Based off this, enjoyment stems from different parts of the franchise.